Antique ceramic history and the origin of porcelain in europe. Porcelain and antique ceramic history began in europe, long after it was first produced in China at the time of the Tang Dynasty (618-907). The origin of the word porcelain is said to stem from its resemblance to little white sea-shells, reminiscent in shape and colour of little pigs or “porcella”, which were once used as currency in the Far East. From the beginning of the 15th century porcelain was considered a valuable and luxurious material, (white gold), by the nobility and wealthy of the day and was bought from the merchants of Genoa, Pisa, Venice and Portugal. This prestige was also due to the mystery associated with its fabrication, which remained secret until the 15th century. 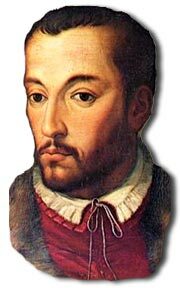 The first major breakthrough in porcelain production took place in Florence under Francesco de Medici, Grand Duke of Tuscany, from 1575 to 1597. Using a furnace designed by Bountalenti and Fontana, a soft paste porcelain was produced, the production becoming known as “Medici Porcelain”. However, production of quality porcelain on a par with the Chinese wares wasn’t developed until 1708 when the physicist and chemist Von Tschirnhauser and the alchemist Johann Bottger succeeded in developing a hard paste porcelain. As a consequence of this Augustus II, King of Poland, founded the first European hard paste porcelain factory at Meissen in 1710. For almost ten years the formula for this poreclain remained a jealously guarded secret within the confines of the walls of the Abbrechtsburg Castle. However, once the arcanum and kiln technology became known in the mid-18th century, porcelain factories began to spring up all over Europe. 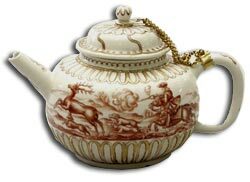 Porcelain was the novelty of the age and factories sprang up in Vienna, Venice and France. At that time the discovery and desire for porcelain ran parallel with the appetites and flagrant and audacious moods in 18th and 19th century society. The desire for the exotic; tea, coffee and chocolate, nurtured in turn the need for new suitable receptacles that were produced in this new exotic material, porcelain. From 1725 to 1740 the Meissen production included handpainted tables and the first important figurines were issued towards 1735. The most accomplished in terms of artistic expression were those of Keandler who was active from 1731 to 1765. Groups and figures of the first half of the 18th century found their inspiration in paintings by Watteau, Lancret and Chardin. The passion for vases originated in emulation of the Japanese and Chinese vessels which were eventually superseded by rococo style art. However, the figurines produced in the 19th century, represented an entirely new art form. They took their themes and subjects from contemporary painting; gallant subjects and characters from the theatre of the Commedia dell’Arte. The collecting of porcelain, which was originally the preserve of the Court, was copied by the noble and affluent and so porcelain production was further stimulated by the needs and desires of the higher echelons of society. Both the Sèvres and Meissen factories share the honour of having the oldest continous working life. The development of porcelain production also owes much to various persona, not least Augustus II of Poland, but also to Madame de Pompadour in France, a favourite of King Louis XV, who influenced the decoration of French Porcelain with her own style. It was due to her intervention that the old French porcelain factory in the Chateau at Vicennes was transferred to Sèvres. A further important royal patron of porcelain was Charles of Bourbon, King of Naples, who became Charles III King of Spain in 1759. His wife was Queen Maria Amalia, daughter of Augustus III of Poland and grandaughter of Augustus II of Poland (Augustus the Strong), founder of Meissen. On Charles’ ascent to the Spanish throne the original porcelain factory, which had been built in the Royal Palace of Capodimonte, was demolished, and the artists and materials transferred to Spain where a new porcelain manufactory was created at the Castello of Buen Ritiro near Madrid. Charles’ son Ferdinand IV continued his father’s tradition in Naples, starting a new factory that began production in 1771 at Portici. Other important Italian factories include the third oldest European factory founded in Venice in 1720 by Giovanni Vezzi but which closed after a relatively brief life in 1727 due to financial problems. Also the hard paste porcelain factory at Vinovo near Turin frequented by the Savoy Royal Family as well as an important manufactory at Doccia near Florence, founded by the Marquis Carlo Ginori in 1735, and which is still active today.